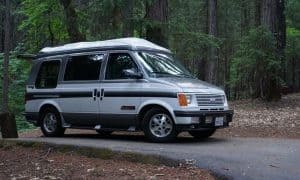 There are plenty of vanlife couples on the road, but we’ve also talked to many people concerned that they could never live in a van with their significant other. 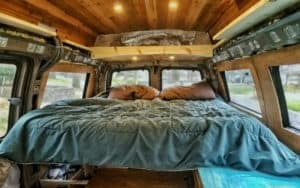 The close quarters and constant togetherness of vanlife can be a challenge to any relationship. But diving into this awesome experience with your partner is also a wonderful opportunity for growth, as individuals and as a couple. I must say, John and I make a pretty good team. 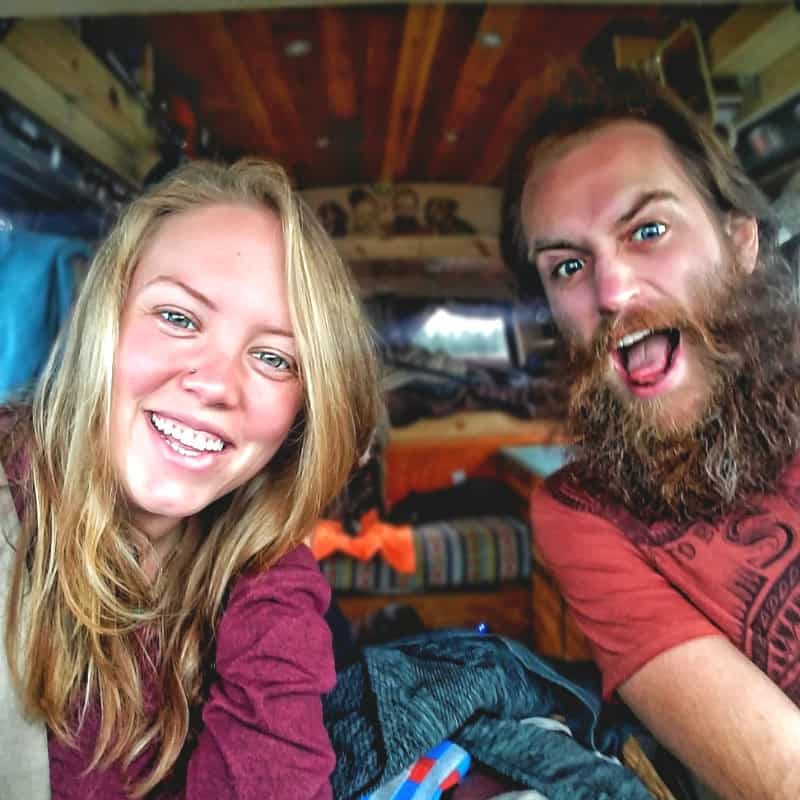 We both enjoy working hard and playing hard, and even before vanlife we’ve made keeping each other entertained and on a path towards personal growth a big priority in our relationship. That doesn’t mean I don’t want to stuff an entire container of baby wipes down his throat when he’s snoring, though! Vanlife has moments where it’s just a freaking headache. Add a significant other into the mix and you have yourself a circus of situations and emotions to juggle on top of the everyday randomness of life on the road. 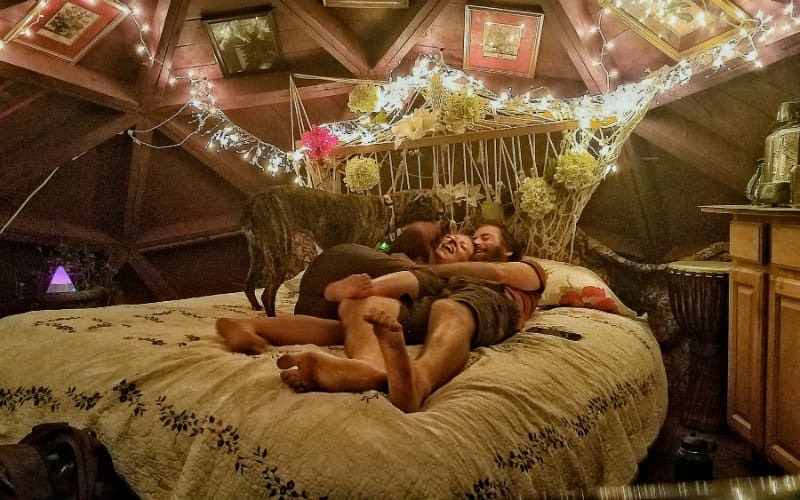 But if you go into it with an open mind, an open heart, and a willingness to work to make things as good as they can be, vanlife with a partner can be an incredibly positive experience that only deepens the love you have for each other. Here’s a little list we threw together of our top tips for making a relationship work – and thrive – on the road. Enjoy! Even though you’re crammed into a small space with your partner, you don’t have to spend every second of every day together. Alone time is very important for any couple – it helps to unwind, gain perspective, and maintain a connection with yourself. Scheduling alone time is a great way to nurture yourself and make your relationship the best it can be. The amount of time you spend apart is up to you – it could be a few minutes, a few hours, even a few days – just be sure to give each other some space. This is something we struggled with a first, but now we make sure to build solitary periods and activities into our schedules. For example, John and Nymeria will go for a run while Crow hangs back with me as I do yoga. Or I’ll do my work sitting by the riverbank while John’s working in the hammock amongst the trees. We prefer to be together most of the time – we feel almost incomplete when we’re apart – but making sure we both get the alone time we need helps us both stay grounded and energized in our relationship. Every fruitful relationship needs balance. 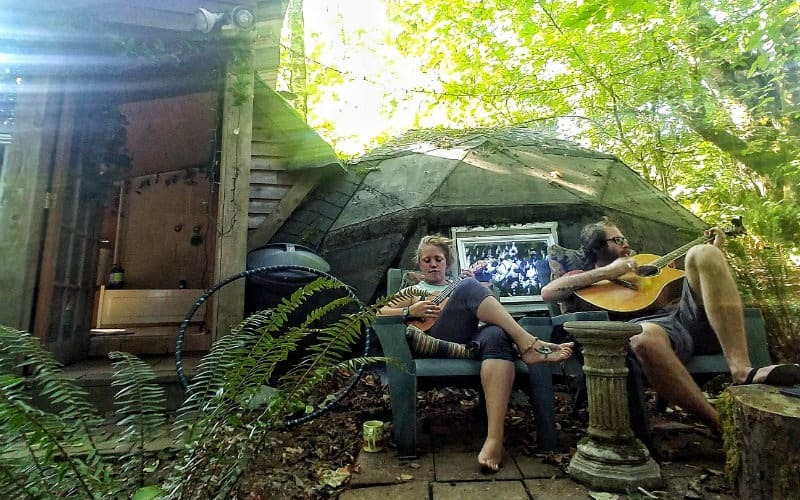 It’s not fair if just one person is cooking, cleaning, and organizing while the other person is always playing guitar, doing yoga, or slacklining. You might think this is obvious, but it can be very easy for the workload to slip out of balance if you’re not actively paying attention to it. Exactly how you do this up to you. Some couples divide responsibilities, while some take turns doing tasks like cooking and cleaning. 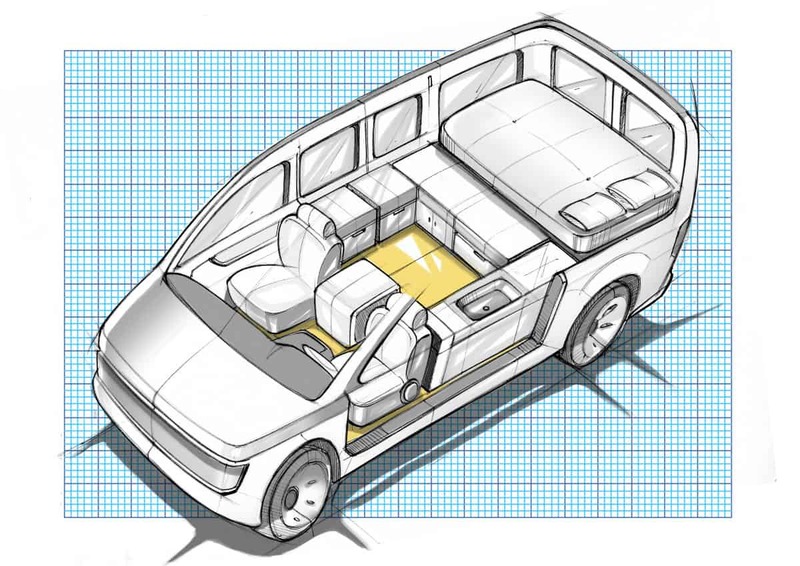 We do a combination of both – we tend to work, cook, and tidy up the van together, but we take turns cleaning up after meals, and we also have our own projects and responsibilities when it comes to work and van maintenance. Like most things in life, you may not get this right on the first try. We recommend playing around with different ways to delegate work and play until you find a routine that fits both of your needs and strengths. Well, maybe not bean dip, specifically, but it’s important to let your partner enjoy those things that make them feel comfortable, even if those things annoy you or you don’t understand them. See, John eats stupid spicy food – like pure ghost pepper powder, I need to run out of the van because DID YOU JUST SPRAY PEPPER SPRAY IN HERE, kind of spicy. Sometimes he makes this bean dip that’s so spicy it could burn a hole through the floor. He doesn’t make it all the time, but when he does, it makes for a beautiful orchestra under the covers that night, let me tell ya. Let your partner have those things that bring them to a place of comfort. In vanlife we’re constantly out of our comfort zones exploring a whole world of unknown. So it’s important to make sure your significant other – and you – can hang on to those few things that make them feel centered and at home. Find ways to make each other laugh! Be hilariously uncomfortable around each other! We’ve made up voices and personalities for our dogs, and John will have entire conversations “with Nymeria” about the most ridiculous things. We start random dance parties in the van, we make up songs about Crow, and we always try to laugh at ourselves when we totally mess something up (this is a great life tip in general – practice laughing at yourself when you f*&$ up instead of looking at it negatively. It’s a foolproof way to help you move on and learn for next time). Laughter is the number two thing that holds us together (cue John making a joke about me using the phrase “number two”). Being ridiculous and making each other laugh helps to maintain a fun and positive outlook in your relationship, and in life. It doesn’t have to be daily, and it doesn’t have to be a fourteener. Even if you walk just half a mile once a week, we highly recommend making a practice of going on walks together. Hiking and walking around are great ways to get outside, explore new areas, and enjoy an activity with each other. John and I always scope out the trails near where we’re camping, and the time we spend hiking together is always incredibly fulfilling. The best part about it is that you don’t need to buy any equipment for this activity – just step outside your van and start moving your legs! Walking with your partner gets you outside, spending time talking, reflecting, meditating, or just enjoying nature. Hike as long and as often as you like – just get outside and walk together! The open road is the best place to chase any dream you may have. 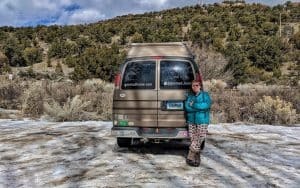 Being out of your comfort zone all the time makes it easier to get out of your comfort zone in other areas, and in vanlife you have more freedom and time to devote to your personal goals. 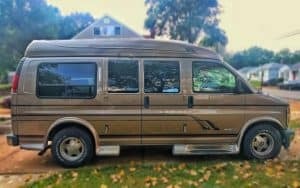 I am able to schedule more time for my yoga practice, which was a struggle for me pre-vanlife. John is able to spend more time getting ready for future marathons he wants to run. I am not into running, and yoga is not John’s go-to activity to clear his mind and reconnect with himself. Yet we are deeply attuned to each other’s goals. We check in with each other daily on how we’re doing, we celebrate our victories and talk about our mistakes, and we give each other the space and the time to work towards our goals. We’re always striving towards something, whether it’s related to work, self-exploration, artistic outlets, or any other area in which we want to grow and expand. When you’re working towards a goal, it’s amazing to have someone right by your side excited about what you’re doing. You and your partner will have your own personal goals, but it’s important to encourage and celebrate each other at every step. This tip isn’t just for those of us living a nomadic lifestyle – this is an essential ingredient in any successful relationship. None of us are mind readers. You could be with someone for fifty years and they still won’t be able to guess every little thing going through your mind. If you’re upset about something, talk about it. If something is bothering you in the moment, vocalize that. But always do so in a respectful manner with the aim of talking things through. Emotions can fly high in a small area, and it’s important to be mindful that we are all human, that none of us are perfect. John and I both want our relationship to be the best it can be, and if something’s not working for one or both of us we always try to communicate and improve. On the flip side, communicate all of the good as well. If you really appreciate something your partner is doing, let them know! Tell them when you’re proud of them and be sure to include the reason. Go into detail about why you find them beautiful in that moment. It’s easy to say, “You’re stunning,” or, “Good job!,” or, “I love you.” It takes true openness to dig into the details, and that makes the intimate moments of appreciation more real and genuine. This is another practice that’s a good idea for life in general. Having somewhere to reflect and sort through your feelings can help you get in touch with yourself and thereby make you a more productive partner. A journal is also a great place to track goals, and sharing it with your partner is a bonding experience that will deepen the communication in your relationship. We each keep our own journals and share them with each other on a daily basis. We use the Best Self Journal for goal setting, and this journal helps us stay focused and feeling grateful. In the morning we plan out our day, reflect on our goals, and think of what we’re grateful for. In the evening we reflect on wins, lessons learned, and gratefulness again. There are also weekly reflections and goal check ins. We always share with each other every step of the way, and it’s a fantastic way to bond, keep each other motivated, and appreciate the little things in life. Sharing your journals is totally up to you, but we highly encourage it! 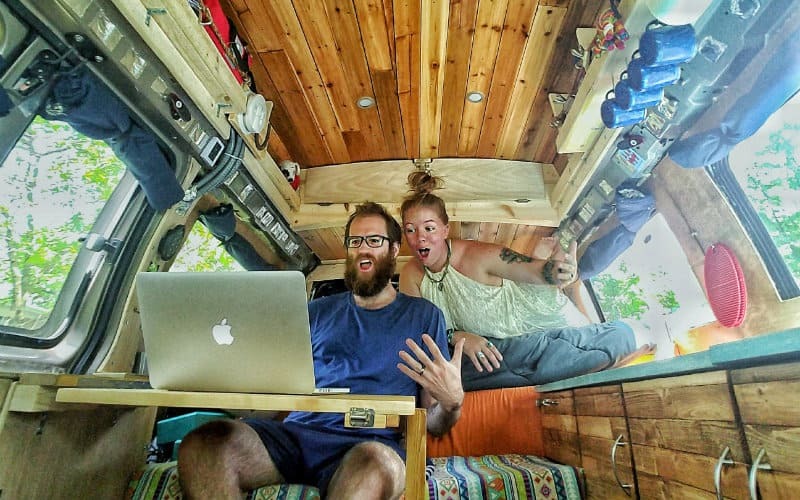 Vanlife with your significant other is an enriching experience that will deepen any relationship. If you’re willing to always think as a team, communicate honestly, and give each other space when you need it, you and your partner will grow together. As with anything, success depends on dedication, mindfulness, and hard work. 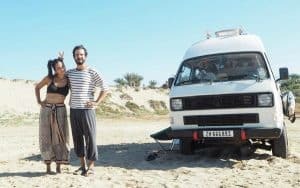 But the rewards of building a thriving relationship with someone you love makes vanlife – and life – all worth it. 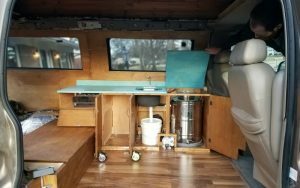 Don’t forget to follow us on Instagram and Facebook for more vanlife lips, build guides, and puppy photos. Happy travels to you all, and love each other always!